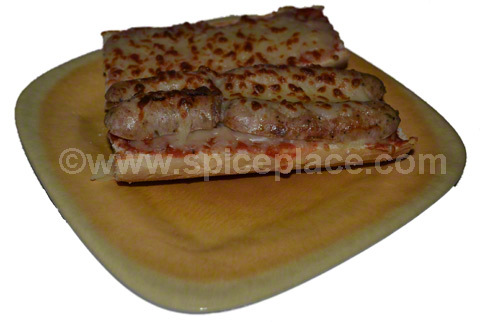 The primary use of Spatini Seasoning is making an Italian Style Tomato Sauce. Yet Spatini is used in many more ways. 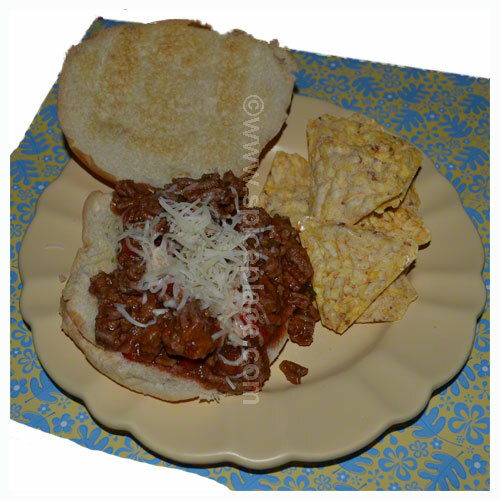 Here’s a recipe for a delicious meat ball made with lean ground beef. 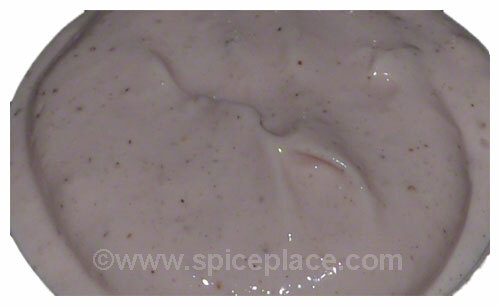 Mix the bread crumbs, Spatini Seasoning and Italian Seasoning together in a medium size bowl. Blend together well. Add the beef and mix well. Roll the seasoned beef between your palms to form into meatballs. 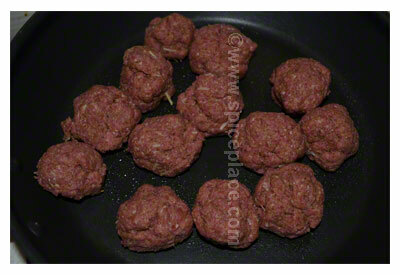 Ours pictured above were about 1 1/4″ in diameter and our make 12 of these large meatballs. 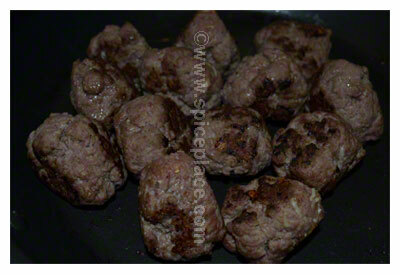 Making them 3/4″ to 1″ will produce more meat balls. Place the meatballs in a large non-stick skillet that has been lightly oiled with olive oil. We find it convenient to to use an olive oil that comes in a spray can so it coats the bottom evenly. 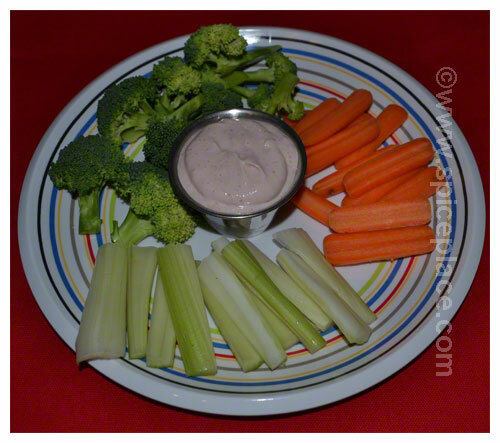 You can see in the picture below, we really used very little olive oil, just enough to coat the bottom and no more. 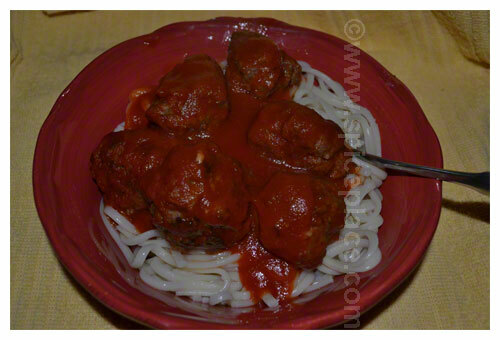 Preheat your oven to 350° F. Brown the meatballs over medium-low heat cooking for about 10-15 minutes. Turn the meatballs regularly to brown evenly on all sides. The best way to do this is by hand. Wear a latex or nitrile glove on your hand, grab the meatball with your fingers, quickly rotate and place the meatballs on another side. You can spend forever trying to get one meatball properly set on a new side if you are using a spatula or tongs. Below are the evenly browned meatballs. Note how little fat is in the pan even after cooking since we used very lean ground beef. Place the meatballs in to an oven safe casserole dish. 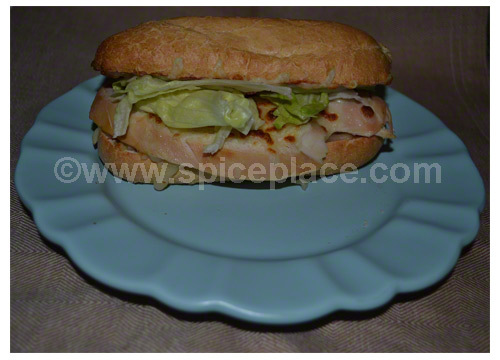 Top with tomato sauce, and bake for 35 – 45 minutes. When about 20 minutes remain, prepare your favorite pasta according to package directions. When like trying different foods and experimenting. Our completed serving at the top features heartly Japanese Udon noodles which we purchased at our local Asian Market. 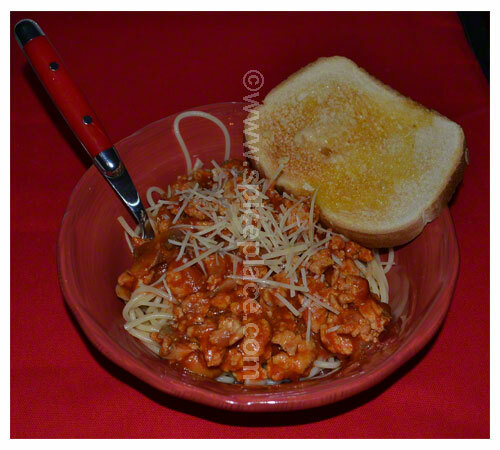 They are similar to Italian style pastas, yet are thicker in diameter and shorter in length. They are a great way to add a new twist to any pasta dish. 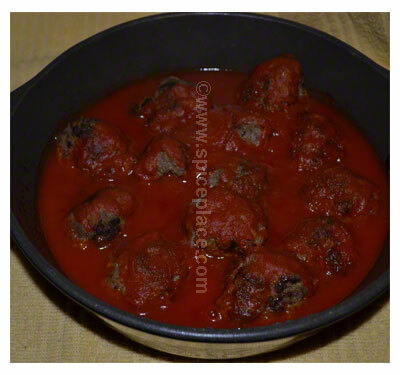 Pictured below is the fully cooked meatballs and tomato sauce just after being removed from the oven.